The complete FREE & competent Android data recovery tool. World’s industry-leading recovery rate gets back what you lost/deleted. Ultrafast scan & recovery speed brings back data in minutes. Retrieve the most vital data: messages, photos, contacts, and more. Compatible with 6,000+ Android devices: SAMSUNG, HTC, LG, SONY, Google, HUAWEI, etc. A huge disaster when the most important data get lost? Now, you are fully enabled to get back your valuable data like Messages & Attachments, Photos, Contacts, Call Logs, and more from Android devices – no more regrets, ever! It is perfectly compatible with a wide range of Android phones and tablets: SAMSUNG, SONY, HTC, LG, Google, Motorola, HUAWEI, etc. So you can always find a way to bring back disappeared files from Android devices. I have tried many different recovery programs in the past, most aimed specifically at iPhone and iOS devices, so I was interested to see how PrimoSync would tackle it for Android. First, Primo Android Data Recovery is covering all of it’s bases. The software is free for Mac and Windows platforms and fully compatible with over 6,000 Android devices, including Samsung, Google, LG and HTC, just to name a few. Just download the free software from the website, install and launch and you are on your way to getting your data back. PrimoSync keeps things simple. 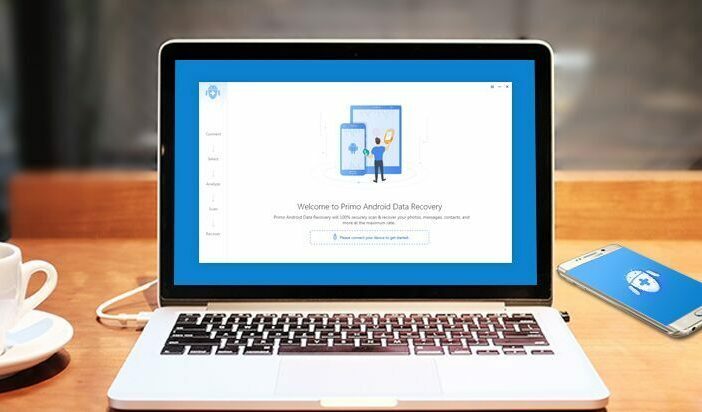 Connect your device to the PC and Primo Android Data Recovery will walk you through each step of the way after that. If there are setting changes needed to be made to connect to the device you are trying to recover, the application will tell you so and exactly how to change those settings. Once it has access to the files, it is your choice what you would like to recover. This includes contacts, call logs, messages, photos, music, etc. After analyzing the data, there will also be an optional choice to root the device to explore further recovery. It isn’t a necessary step as you can continue without doing so, but I love that the option exists. There is a warning that the procedure is irreversible, so do keep that in mind. Proceed with or without rooting, and review the data that is available to recover. Choose only what you wish and click the Recover button. Be sure to keep the device connected until the process is complete. The software will transfer the data to a save folder on your PC where you now have easy access. Primo Android Data Recovery is an incredible tool that is going to really help a lot of people. It is user-friendly and easy to understand. It is also completely free. What’s not to love? 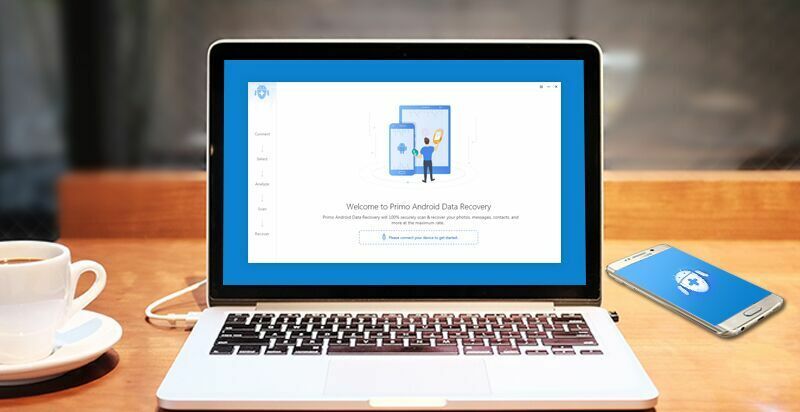 Download Primo Android Data Recovery now for Windows and Mac on their website here. I have downloaded your program, run the setup then connected my Samsung Galaxy J2 to my computer. Thought WOW ! This going to be very easy, but damn, there is NO program out there that is EVER free AND which REALLY works !!! 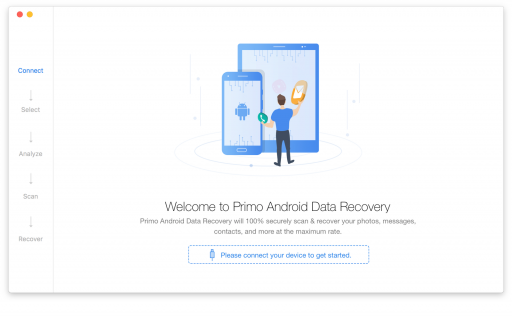 Primo Android Data Recovery cannot access your device info … blah blah blah !!! WHY am I not surprised ? NOTHING comes without a HUGE amount of LIES and EMPTY promises. NOT at all a program I will suggest to anyone !! !